Battlefield V’s “Firestorm” is the newest battle royale to join the bunch, bringing hot new features to the ever-popular game mode. The core gameplay is similar to Fortnite, Blackout, and Apex Legends in that you’re dropping from the sky with tens of other players and then scrambling for weapons, ammo, and resources when you land. 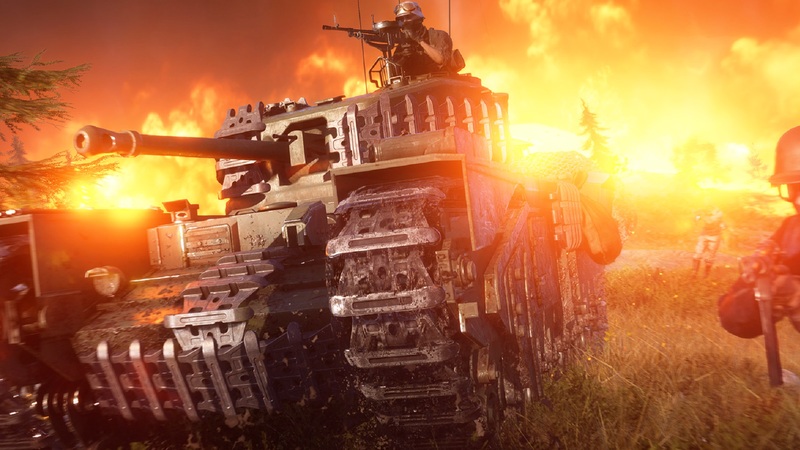 However, Firestorm heats things up with Battlefield V’s expertly crafted gameplay and tweaks the battle royale formula into something that many will enjoy. Here are 3 things that make Battlefield 5’s new game mode worth playing. At 10 times the size of “Hamada”, the map in Firestorm is something amazing, and is one of the biggest ever in the Battlefield series. However, you don’t play the entire map at once in Firestorm. Instead, a randomly selected area is encircled in flames for each match. This giant ring of fire slowly shrinks as the match progresses, and it’s truly something to behold. And beholding it is all you want to do, because unlike the slowly enclosing map boundaries in other battle royale titles, Battlefield 5’s ring turns everything in its path into a giant blaze of death – trees, structures and players alike! The firestorm is something you’ll need to always keep an eye on throughout each match. Ever wanted to drive a WWII-era tractor through a free-for-all war zone? Well now you can and it’s surprisingly fun (albeit not surprisingly useful for getting kills). There are 17 unique vehicles in Firestorm, each with their own personality and battlefield advantages/disadvantages. 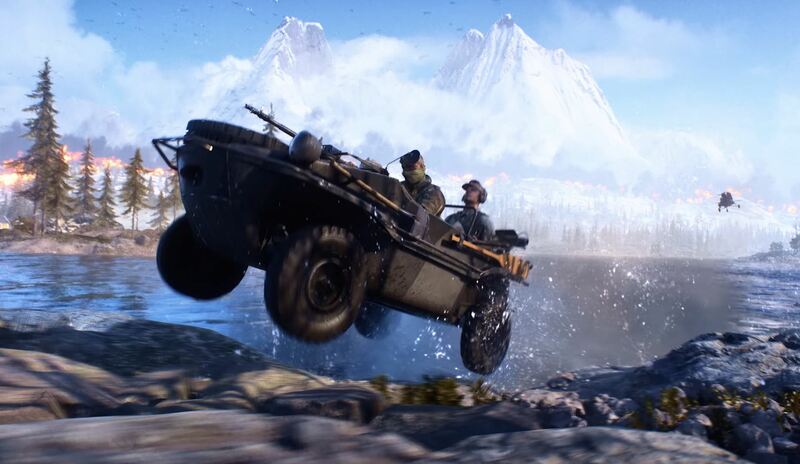 Sure, there are Battlefield V’s historically accurate tanks, military watercraft and even a small helicopter… But why choose those when you can ride with your friends in a convertible Rolls Royce? As mentioned above, the firestorm that this game mode is named after will destroy anything and everything it touches. In addition, players can become a destructive force of their own. All explosives, heavy weaponry and vehicles that fire heavy weaponry (tanks) can rip apart structures with realistic detail. Tired of a sniper bothering you? Just smash, explode or shoot his hiding spot out from under him! As it turns out, anti-aircraft cannons are good at destroying stuff on the ground too! Battlefield V is currently on sale for PC, PS4 and Xbox One in the CDKeys webstore (along with other games in the franchise). Act now to grab these discounts before they disappear. Watch Dan’s first go at Firestorm below and follow us for more live streams of the latest games. Are you going to play Firestorm? If not, which Battle Royale are you spending the most time with right now? Let us know in the comments below!